Barnsley boss Daniel Stendel praised the strength of his squad after Saturday's win over Luton, despite having three key players missing. With Adam Davies and Kenny Dougall on international duty for Wales and Australia respectively, Stendel was also without leading scorer Kieffer Moore who is struggling with an ankle injury. But the Reds edged a five-goal thriller at Oakwell with Brad Potts, Cameron McGeehan and Mamadou Thiam on the scoresheet. “It was a good experience for our team that we can show that we have a good squad,” said Stendel. “Cameron McGeehan played very well and scored. All players in the first 11 also played well. I’m happy with all our substitutes. 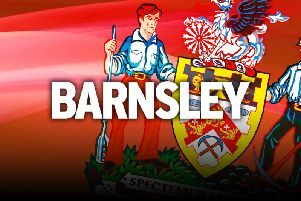 Midfielder McGeehan capped off a brilliant team move to score Barnsley’s second against his former club in what was only his second start of the season. “It’s his old club and he was very motivated,” continued Stendel. “I’m happy for him. He hasn’t played often and in training he puts in a good performance. He has good motivation and good passion. “We trained a lot of time those situations, when we win the ball and play it very quick. “It was a team goal and it’s good that we see not only our striker can score. In this moment it was a defensive midfielder in the box who scores. Stendel was tentative over whether striker Moore will recover from his ankle injury to face Charlton at The Valley this weekend, but is pleased the rest of the team are chipping in with goals. “I’m not sure but we hope with our medical department - that work very hard - we hope maybe there’s a chance to play next week,” he added. “I think earlier in the season there was a feeling for all in the club and from opposition teams that we only have Kieffer Moore (to score goals). It was not too easy for us and for Kieffer. Other teams concentrate on him and it’s not too easy for him to play very well or to score every time, I think when other players score he will have more space and chances to score.